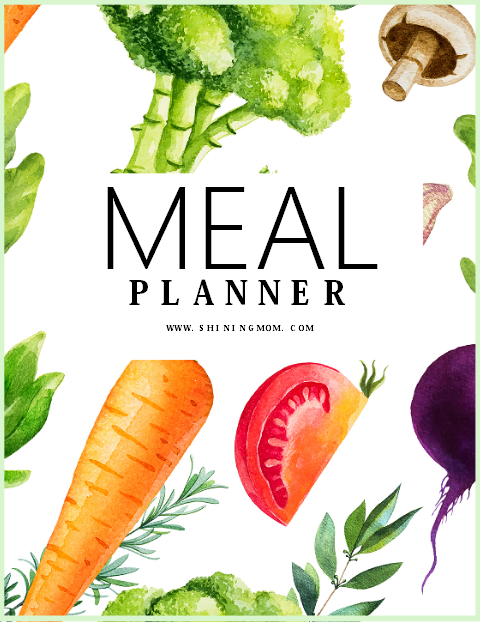 Spot that meal plan template you’ve been looking for right from this whole binder of meal planners and organizers. 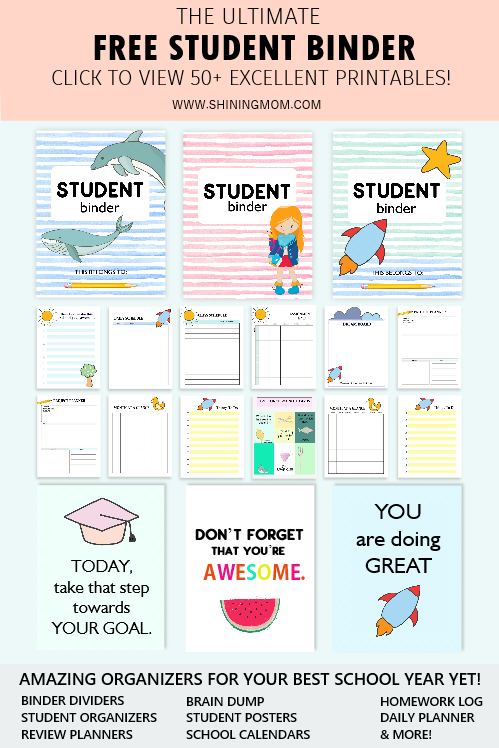 It includes 25 printable sheets, all for free! 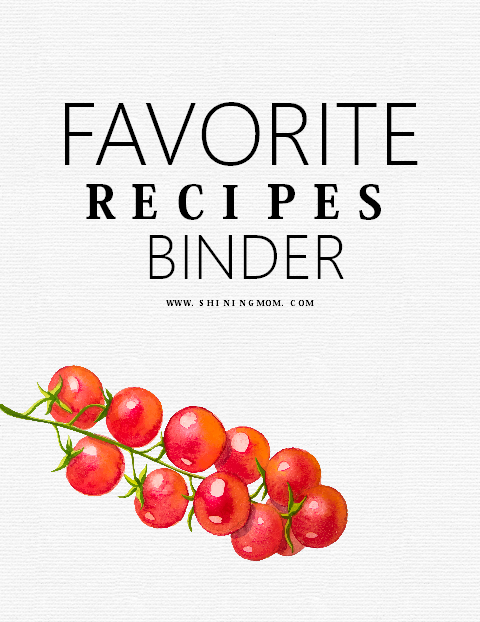 Use this binder to save money and time in your kitchen. It will help you know at-a-glance what meal to prepare every single day. Plus, it will help you keep your favorite recipes in one spot! Hello, friends! Having a hard time thinking about what to cook next for your family? 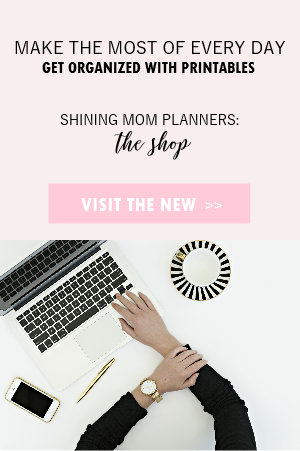 If you’re not into meal planning yet, maybe it’s about time! 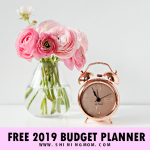 Sure, the whole meal planning system requires you to sit down for about an hour or so at the beginning of each week (or month), but once you’re done with your plan, you have more margin to spend for free time for yourself for the rest of the week. And not only will it help you save time, but it will also help you cut cost for your grocery spending as well! Our meal plan template will help you know on-the-spot what to include in your list for your next trip to the grocery. Knowing what meals to cook ahead of time can help you easily write down all the ingredients you need and will save you from purchasing unnecessaries. Statistics say that households put so much food into waste! Menu planning will help cut throwing away food because it will help make sure that what you shop is all what you really need and cook. 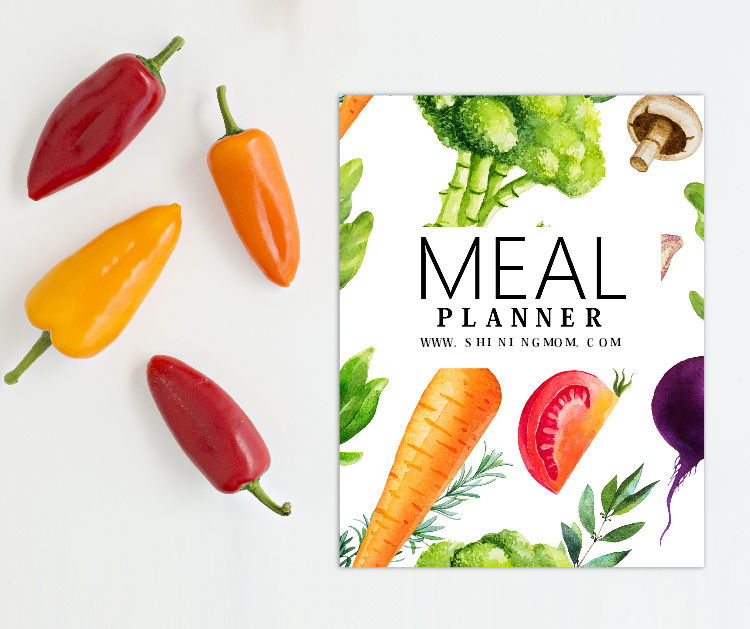 Ready to jump into meal planning? I am excited about all the awesome meals you’re about to include in your meal plan. Let’s get started! It’s time to stop wondering what’s for breakfast, dinner, or lunch. 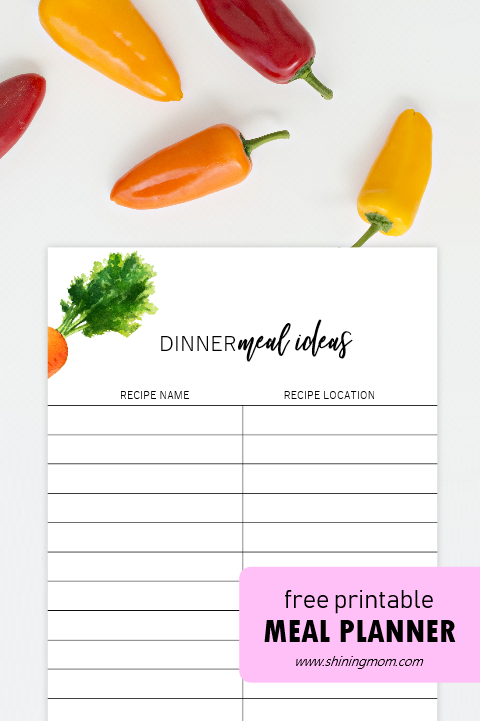 With this free printable meal planner with 25 menu planning templates and organizers, you will have your meals planned out ahead of time. It can even help you prepare healthier meals ahead. Happy meal planning! 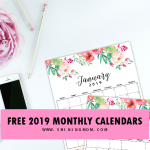 Let’s get started with the first two pages included in your meal planner- the monthly and weekly meal plan templates. I suggest that you try weekly meal planning first if you’re just getting started. So once a week, sit down as a family and talk about what you love to have for the week. Perhaps you can start with what dinner to have. This is going to be a family affair as you get along. Later on, you can get started with your breakfast and lunch meal plans, too. 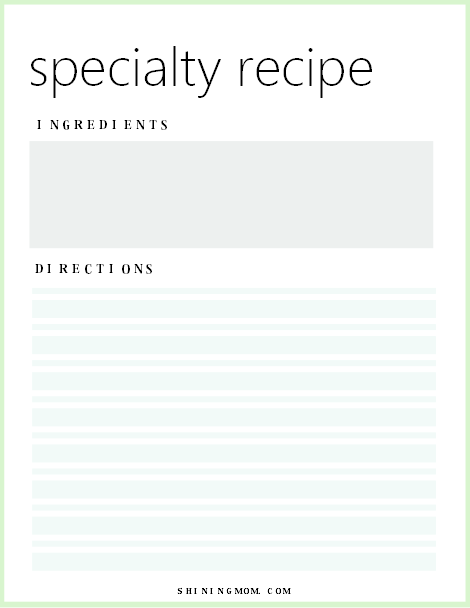 Aside from the printable meal planning templates, you’ll also get recipe cards where you can keep your favorite recipes. Here’s the sample template included. Next up are the favorite recipe holders! Here you can brainstorm your most-loved recipes for breakfast, lunch and dinner s a family. This way, you’ll get to have your very own favorite recipe bank that you can always refer to. Aside from the menu planning templates and organizers, I’ve also included cover pages for your favorite recipes. 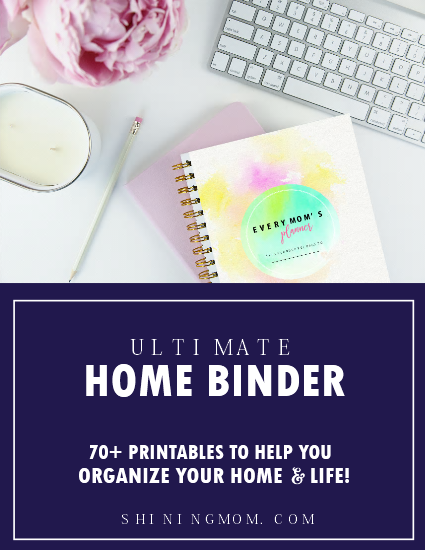 Here you can organize your favorite recipe cut-outs from magazines, books, and newspapers so you’ll have everything organized in one spot. 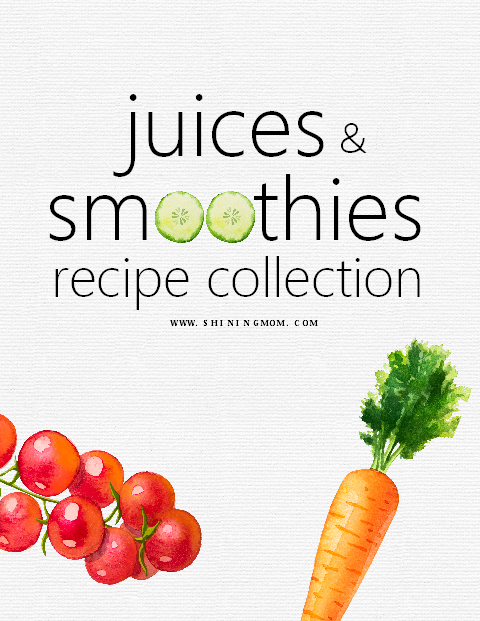 Juices and Smoothies and More! 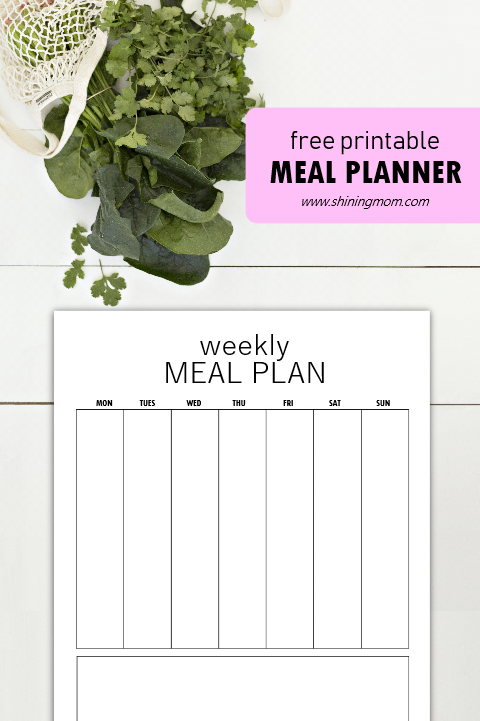 Get Your Free Printable Menu Planner! 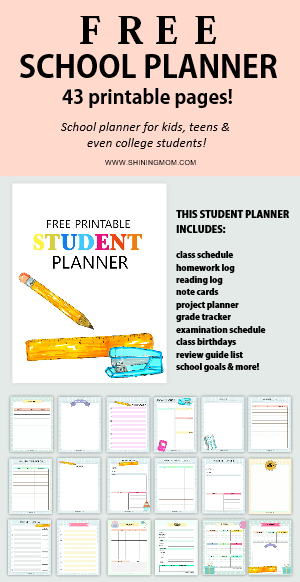 CLICK HERE TO RECEIVE THE PLANNER FILE, sent straight to your inbox for instant download. Print the March bullet journal/planner in US standard Letter Size paper with 8.5 x 11″ dimensions. 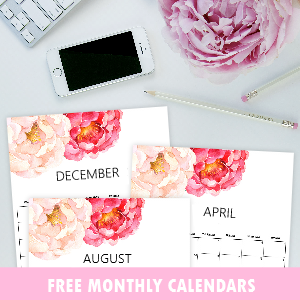 Free Meal Planner: 15 Printable Pages! Loving this post? 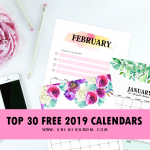 Please help spread this freebie by pinning this post on Pinterest. Thank you! 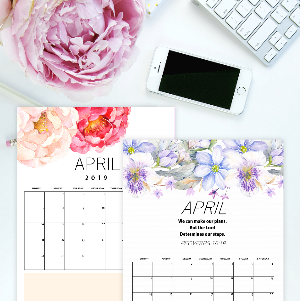 « Free Printable May 2019 Calendar Planners: 15 Awesome Designs! I believe there is a problem with the download? 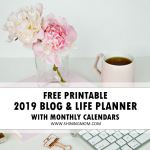 Having some trouble with the link named, “CLICK HERE TO RECEIVE THE PLANNER FILE, sent straight to your inbox for instant download.” It goes to a site for convertkit.com..? 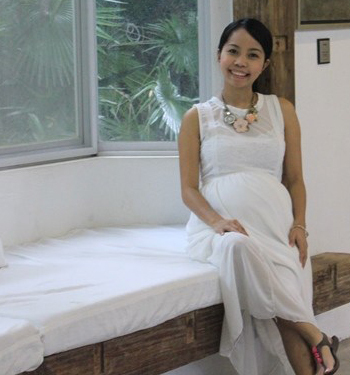 BTW, love your pieces—beautiful, fun and keep things so organized. Hello, the link is now updated. So sorry, I must have mixed the links somewhere along. Please enjoy the planner now. It’s ready for download! I still can’t get the download? It’s fixed. Sorry I did not save the link correctly. I didn’t realize it would show up as an actual link. Here’s the above with the /edit removed. Thanks so much, Melody! I didn’t realize I was all pointing you to the edit page of the Convertkit link. All is well now. Cheers, ladies! The same thing happened when I clicked on the link. I keep getting a 404 error. I still can’t download either! First it went to convert.kit? 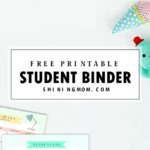 Cleaning and especially menu planning printables I could use this year and I really liked your post about this offer download!! I’ve just updated the link this morning. I did not save it correctly last midnight. Was too sleepy. Please check it now. Dear Karen! All is well now. Sorry for my sleepy head last night. The link was not properly saved.